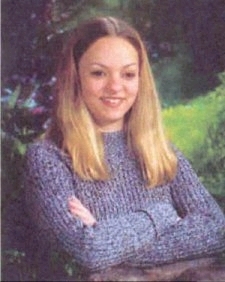 November 25, 2002 was the last time that Cassandra Cole was seen by her family. She was reported missing to the Tiffin police and also the National Center for Missing and Exploited Children. Cole’s body was found on March 20, 2003 along the bank of the Sandusky River. The location was less than half a mile from my childhood home. So I’ve always wondered what happened to her. How did she end up in that place? She didn’t have a license so someone drove her there. The banks are relatively steep so she probably walked to the river bank from the parking lot. The coroner stated that Cole drowned. The police suspect foul play but so far they haven’t made any arrests. She lived in Tiffin, Ohio, which was a 20-minute drive. It was a popular fishing spot but not in November. There was not much traffic in the area. The case isn’t even on the Ohio Unsolved Homicide database. Why? Why isn’t anyone talking about this case? Is someone trying to cover up the real story? There have been rumors about a suspect but no one has been arrested. I sent an email to the Sheriff’s office but haven’t received a response yet. It’s somewhat unlikely that they will respond. The Seneca County Sheriff’s office can be contacted at 419-443-7904 or on the Facebook page: https://www.facebook.com/Seneca-County-Sheriffs-Office-465631780138577/. If it was your daughter, sister, friend, you would want answers. So I’m hoping that someone comes forward with information that could help Cassandra Cole’s family find out why this happened.